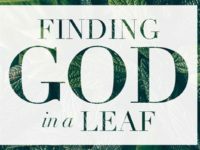 “Finding God in a Leaf” was written by Brian Grogan SJ. It is a series of guided meditations written as short daily paragraphs, leading to a deep understanding of the nature of our planet, – our common home – and of our deep bond with it. 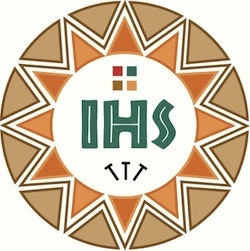 It reflects the message behind Laudato Si on conservation and the need to make changes in our lifestyle to halt the illness of our beloved Earth. This book is not only aimed at Christians or believers. It is a spiritual journey for everyone who is concerned about the current climate situation, anyone who is wondering why everyone is so concerned. There are two main stages in this journey, the first of which is necessary before we reach the second. It’s like planning a trip to a new land. We first inform ourselves about geography, the most interesting places and the culture. On this journey, we start with an examination of our surroundings, of nature and then we dig more deeply until we understand how deep our connection is and how we are part nature. Once the reader has developed a certain awareness, the second part addresses the inner desire and motivation to begin making a small change in our lives and how even a small gesture is actually useful to heal a ‘‘sick planet’’ – i.e. our planet and metaphorically all of us. Last but not least, the title is worthy of particular attention. I received this book as a gift and immediately I wondered why the author chose a leaf rather than something more meaningful. The answer, which I found on the way, was that the leaf is an essential element in nature. It is small but organized and has plenty of tasks to perform for itself and for the wealth of the rest of Earth’s inhabitants. It works silently and even when its life cycle ends in autumn, the fallen leaf will serve as nourishment for the plant to be newly fertile in spring. ‘They give an instance of that universal self-donating love’, this love and sense of belonging that all humans, along with all beings inhabiting this world, should find inside their deep within themselves.